I don't really have the words to describe how it felt to get a magazine in the mail knowing that I was going to find my work printed inside its pages! I couldn't flip through it fast enough! 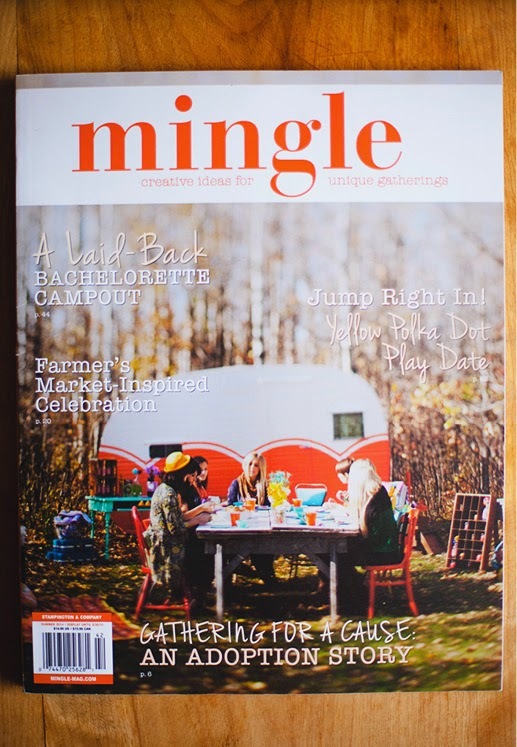 Mingle Magazine reached out a few weeks ago and asked for permission to use two of my images in their Summer 2014 edition. The two photos were detail images I snapped at Emily's baby shower (which was featured over at Style Me Pretty). I honestly expected to have them be on the same page.. small.. possibly a part of a small collection of party ideas. So you can imagine my excitement to see that they were each displayed on their very own page!! My favorite part of all of this is the title of the section they were used for "Its in the Details" because its something I totally agree with! I put in a great deal of effort to capture every single tiny detail of an event. I know that a lot of work, love and inspiration has gone into planning and executing all of those little details.. so I don't want to overlook anything! And it may seem silly to care so much about how I'm photographing a strawberry dessert.. but I do! 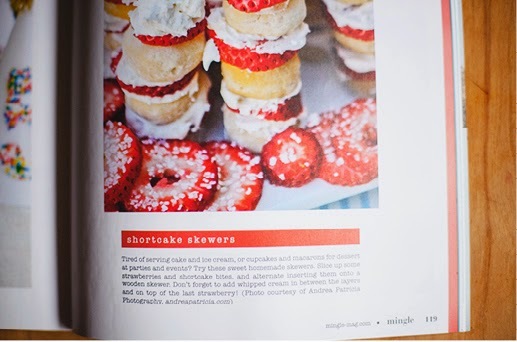 And to have someone else notice the photograph and want to use it as a piece of inspiration for other party planners is so incredibly fantastic!! So happy. So very proud. Its my very first time having my work printed in a magazine.. and I'm especially thrilled because of how beautiful the rest of the magazine is! Huge shout out to Emily Owens for having a baby.. to Rachelle from Wiley Valentine for trusting me to document all of her hard work and creativity.. and to the family and friends who helped her create such a special event. I've said it before.. and I'll say it again.. and I'll never get tired of saying it..